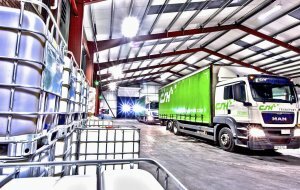 Our dry freight service is focused on your and your client’s needs, whether general or specialised haulage. Our ability to communicate and deliver transport and logistics requirements in a financially competitive, environmentally-sound, safe, professional and sustainable manner is key. Many of our clients have grown and evolved over the past forty years with CSH as their 3PL partner. We continue to attract new customers due to our thorough, professional and tailored logistics solutions. During 2019 we will introduce our new Client Portal along with further substantial infrastructure investment and vehicles. As a CSH client you will be able to access our bespoke booking system and dashboard featuring real time information. Real-time PODs, job history and future bookings will be amongst the information at your convenience. Online access will be given to storage and picking requirements as our new Warehouse Management System goes digital in Q2/3 2019. Access to your inventory, bookings and history will also be available via CSH’s Client Portal. All the CSH fleet is satellite tracked and uses a telematics system with a combination of OE (manufacture installed) sensors and processors along with Microlise analytics. Telematics improves fleet performance, reliability, safety and provision of real time PODs. 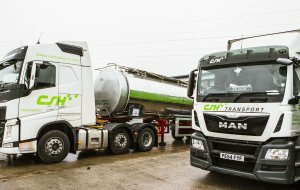 This naturally leads CSH Transport towards FORS accreditation in the near future and to further enhance our list of professional accreditations. 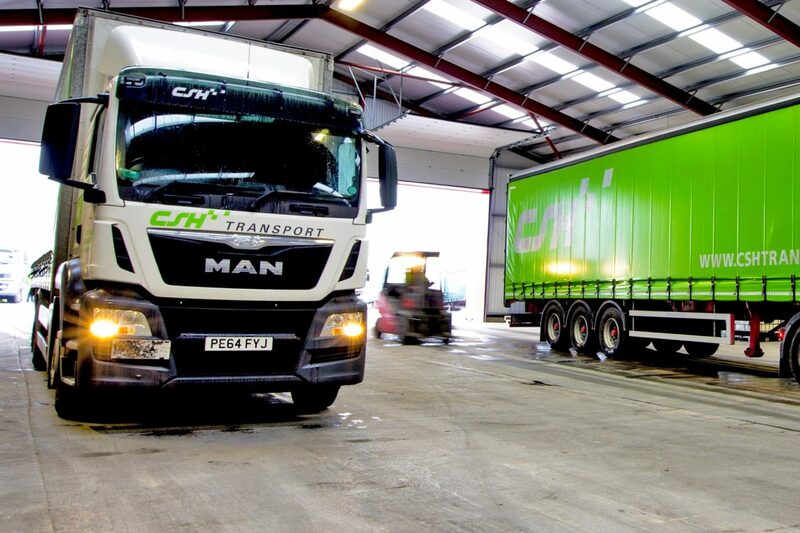 For further information please contact our Dry Freight Manager Dale Dacre on info@cshtransport.com. Operating the most eco-friendly Euro 6 MAN, DAF and Volvo vehicles with the latest range of curtain-sided trailers, CSH is a certified ISO 9001 and ISO 14001 business. We adhere to industry-standard management practices and develop alongside current and future environmental responsibilities. Extensive training and accreditation include management and environmental ISOs plus SQAS, ADR, Cyber Security accreditation and an in-house Dangerous Goods Safety Advisor. In-house trainers assess drivers for safe and responsible driving and provide comprehensive Induction Training including Health & Safety, tactical driving, site rules, manual handling, fork-lift truck certification, VMS and POD along with continuous professional development (CPD). We also have on-going assessment with outside trainers including CPC, Health & Safety, ISO 14001 and ISO 9001. Daily inspections are performed on all vehicles including a “weekly vehicle assessment sheet” returned to the fleet engineer. We are rigorous in our VOSA-approved six-weekly maintenance and safety inspections at CSH’s own facilities to ensure the safety of our vehicles and your goods to all. Safety, reliability, security, ecological awareness and bringing competitive pricing through efficiency and flexibility is essential to CSH and especially to you our clients. 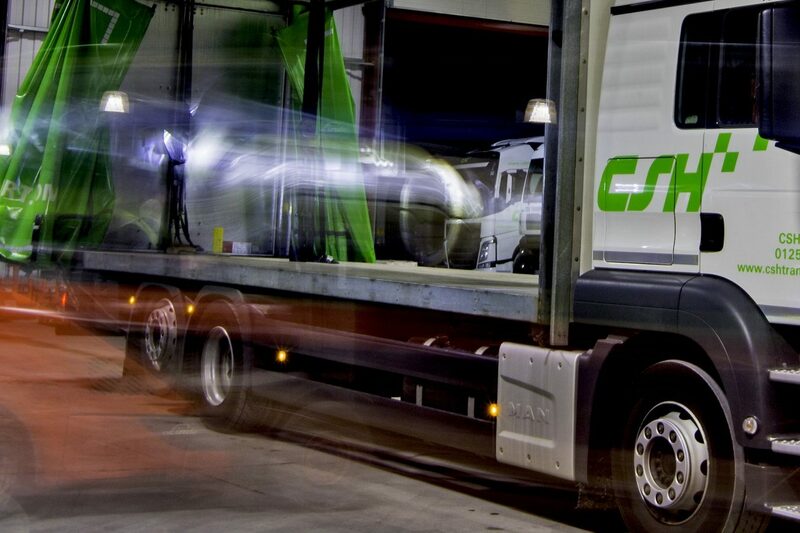 CSH has always specialised in the transportation of hazardous ADR and non-hazardous chemicals. The majority of our drivers attend a four-day ADR training and examination course in the transportation and handling of dangerous goods. We offer a full range of logistics to a diverse range of clients. With over 35 years of experience we have transported a huge variety of products from across the spectrum of industry. 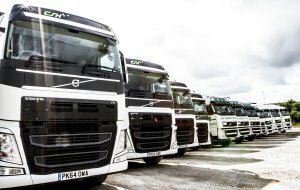 Investment in our company-owned fleet of LGV’s fitted with Euro 6 engines along with our own maintenance facilities ensure the reliable and environmentally friendly delivery of your goods. A full range of curtain-sided vehicles from 7.5t rigid up to 44t G.V.W. trailers with Euro 6 tractors CSH is well placed to service the requirements of present day and future transport requirements whether you manufacture, trade or retail.